Between May and July, a lot of leases come up for renewal. That can mean a higher number of tenants moving out and going to live in other locations. Some may be moving out of the area, or they may have bought a house or decided to relocate to a different neighborhood or school district. If landlords are new to their work, or they aren’t expecting a lot of their tenants to move out at one time, they can find themselves with a higher number of vacancies than they anticipated as they move toward the fall season. That’s generally not a good thing, as it can mean a lower level of income and too many units sitting vacant. Fortunately, if you’re a landlord there are ways you can avoid that kind of problem. The main way is also the simplest: be proactive and talk to your tenants. Find out what their plans are, and if they are going to be renewing their lease. Handle lease renewals 60 days before the end of the current lease, if possible. 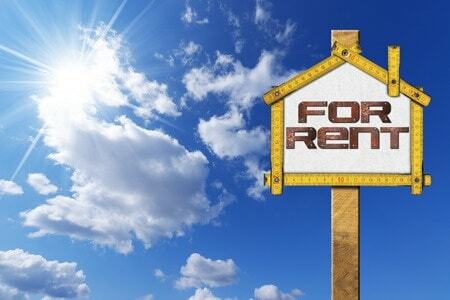 Following your state landlord and tenant laws is vital, but within those guidelines you’ll want to have tenants renew their leases as early as reasonably possible. Then you have a clearer picture of how many of them will be leaving over the summer, and can begin seeking new tenants. Looking for new tenants can be done in a couple of ways. You can advertise online and locally, or you can pull from a tenant waiting list if you happen to have one. Not all apartment complexes have waiting lists, so if your complex isn’t in high demand or there aren’t a lot of people moving to your city or neighborhood who need somewhere to live, you may need to place some online advertisements. Putting up flyers in local establishments can also work for smaller locations, but may not be effective in larger cities. Word of mouth from tenants who are already living there can make a big difference in how many people apply to rent from you, as well. If you plan to have some turnover during the summer season, that can also be a great time to do some work on units that need repair or renovating. Whether you’re doing a ground-up renovation on the building as each unit becomes vacant, or you’re only fixing the more significant issues without doing a lot of upgrades, having a few vacant units over the summer can be a good time to get started. Just make sure the turnover is planned for and expected from a financial point of view, so you don’t end up with cash flow problems due to a lack of tenancy. Getting the work done early in the summer is also a good idea, so the units are available to families that may want to apply and move in before the school year starts. With some careful planning, turnover during the summer season can actually benefit you and your apartment complex.